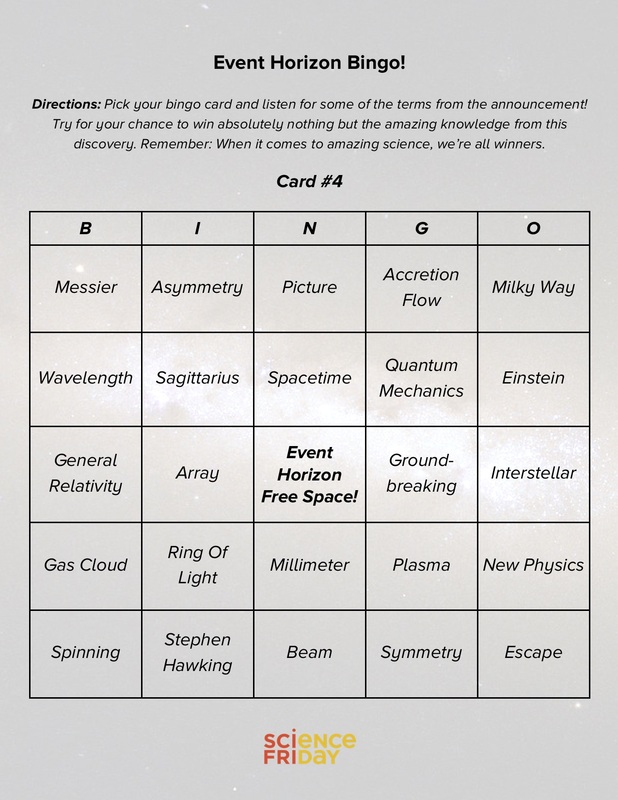 Remember: When it comes to amazing science, we’re all winners. 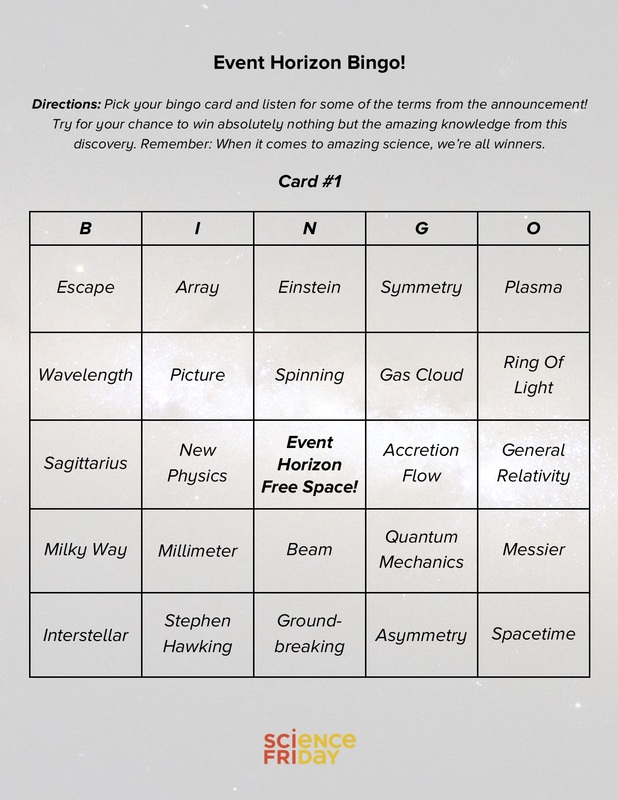 On Wednesday, April 10th, the Event Horizon Telescope team is expected to make a big announcement regarding black holes. The science world is aflutter with anticipation, and we here at Science Friday will be watching live to experience this never-before-seen phenomenon with you. 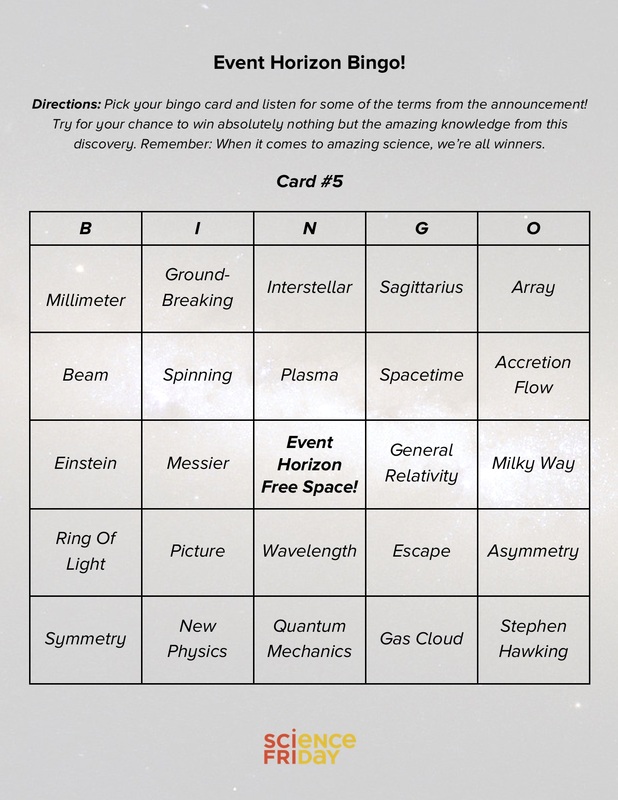 Print out one of the following cards. 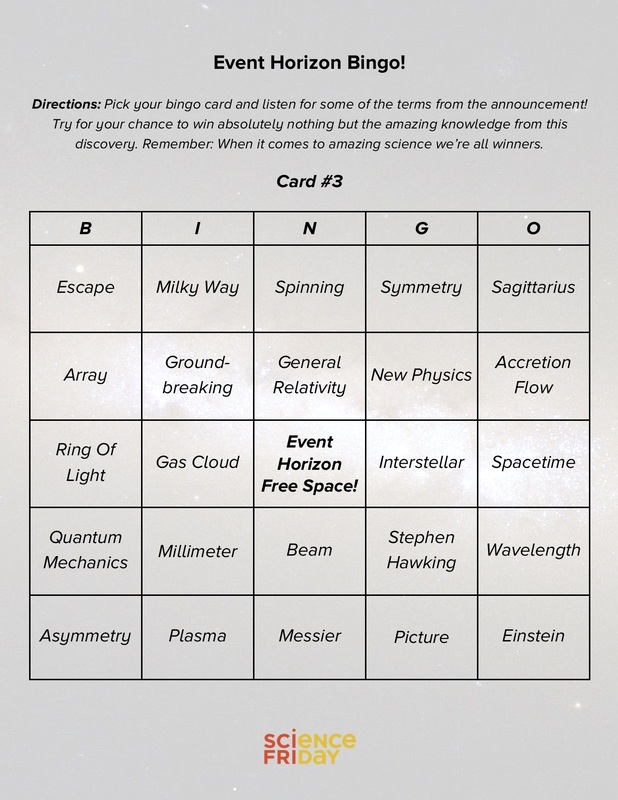 Tune in to the Event Horizon Telescope announcement on Wednesday, April 10th at 9 a.m. Eastern. 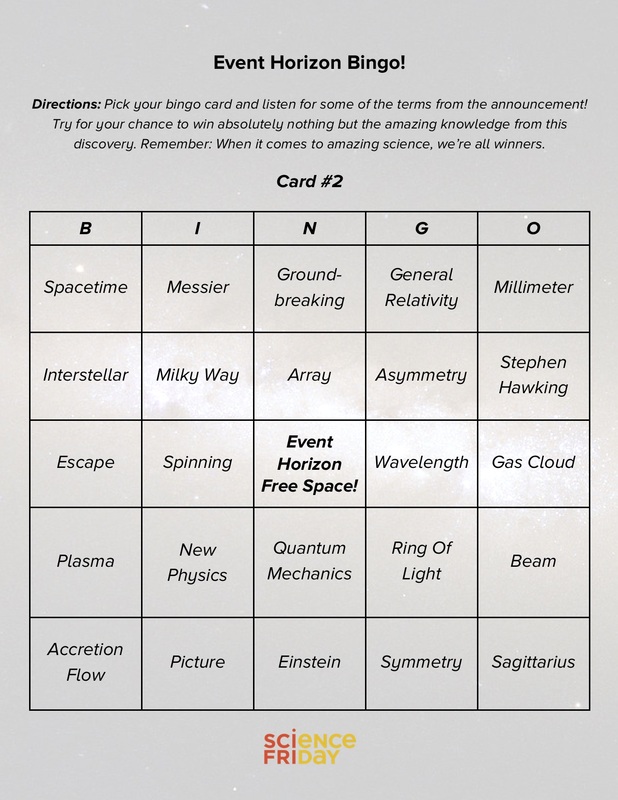 Mark a space every time the Event Horizon team mentions one of the following black hole terms. Bask in the glory of new knowledge. Print out your copy here.